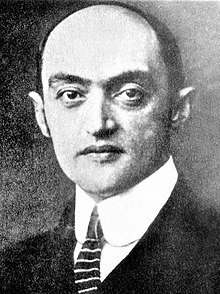 ^ Liberty Fund, Inc. Joseph Alois Schumpeter: Biography. Econlib.org. 2007-10-08 [2010-09-21]. ^ Jean-Claude Drouin, Les grands économistes, Presses Universitaires de France, 2006. ^ Stone, Brad; Vance, Ashlee. $200 Laptops Break a Business Model. New York Times. January 25, 2009 [2010-09-21]. Indeed, Silicon Valley may be one of the few places where businesses are still aware of the ideas of Joseph Schumpeter, an Austrian economist who wrote about business cycles during the first half of the last century. He said the lifeblood of capitalism was “creative destruction.” Companies rising and falling would unleash innovation and in the end make the economy stronger. ^ Schumpeter, Joseph. Methodological Individualism. Das Wesen und Hauptinhalt der theoretischen Nationalokonomie (The Nature and Essence of Theoretical Economics) (PDF). 1908 [2010-07-02]. ^ Economic Doctrine and Method (PDF). [2010-07-02].